Sometimes you have a point to get across or a mood to get into, and one teeny tiny GIF on loop isn’t going to cut it. Behold Kapwing’s Slideshow Maker — it can assemble all your GIFs in one place, creating a wormhole of joy for any that dare view your creations. 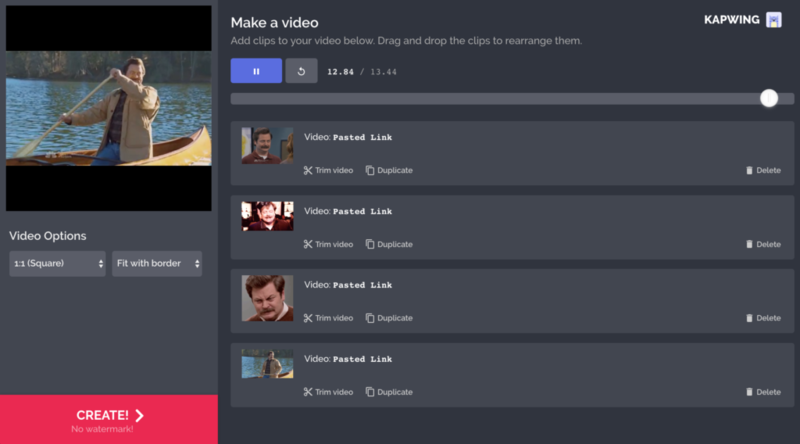 For this tutorial, we’re going to make a GIF slideshow of the venerable Ron Swanson. Kapwing’s Slideshow Maker can also handle video and images (and you could combine them), but for the purposes of this tutorial, we’re sticking to GIFs. Step 1: Assemble your GIF army. 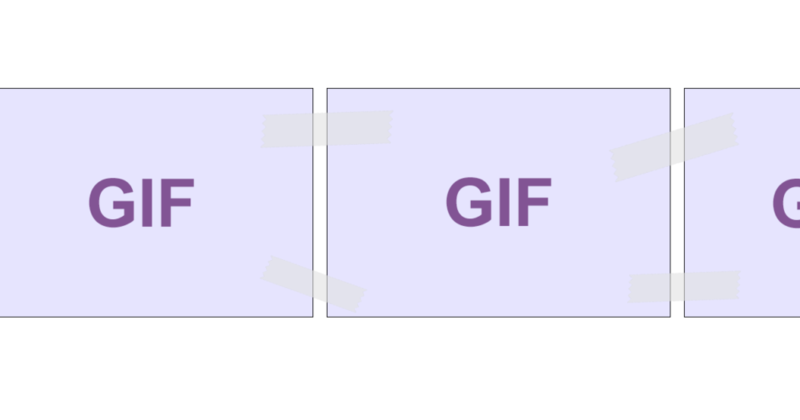 Using your favorite GIF website (like giphy.com), you have two options: either download your GIFs or simply copy the Giphy URL. 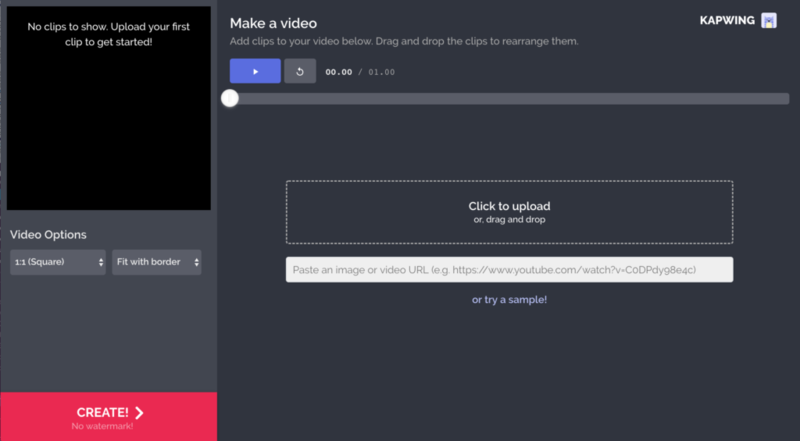 The average GIF lasts anywhere from two to six seconds — Kapwing’s slideshow maker taps out at the one-minute mark, meaning you’ll likely want anywhere from three to 15 GIFs. On the Kapwing Slideshow Maker page, once you click “Get Started,” you’ll be presented with the blank editor. It’s free, and you won’t need to sign into get started. You can upload GIFs by pressing the “upload files” box, dragging files from your computer, or importing from a website by pasting your URL into the adjacent white box. In my example, I imported the GIFs directly from Giphy by pasting the Giphy URL. Kapwing then immediately identifies the GIF, and it will upload in seconds. The GIF slideshow will then automatically play in the preview box on the left. As you add more GIFs, they’ll play on loop ad infinitum. If you don’t like one, just hit the grey “Remove” button on the right of the file upload. You can also duplicate a GIF to have it loop multiple times. Drag and drop the clips to rearrange them. You can also duplicate and delete GIFs from your montage. Adjust the dimensions of your slideshow. On the right-hand side, under “Montage options,” check out the list of sizing options. Yep, there’s an option that’s optimized for Facebook. Also Instagram. Crop or fit with border. No two GIFS are the same, and if your GIFs are different sizes, you can opt to zoom and crop them or give them the ol’ classic letterbox. Image duration. If your GIF is moving too quickly or too slowly, that’s all under your control. Kapwing can handle speeds from .2 seconds to 5 seconds. The Kapwing Kittens will get to work on your GIF-tastic masterpiece. Hold tight, and then your slideshow will be available for download, editing, or for watermark removal if you have a Kapwing account. Presto! You can download your GIF slideshow as an MP4 to share with friends. Ron Swanson mood achieved. Once your GIF slideshow has been created, you can always go back to edit it or open it with Kapwing’s Creator to make a GIF collage.